While the rest of the grid shuffled around in the close season, the Silver Arrows were again able to focus their efforts on champion Lewis Hamilton and teammate Valtteri Bottas. Hamilton's victory in China - his second of the year - combined with a second-placed finish for Bottas, who won the opening race in Australia, means Mercedes have kicked off the campaign with three one-two finishes in a row. That last happened in F1 back in 1992 when Williams enjoyed an embarrassingly straightforward season, coasting to the constructors' title with Nigel Mansell top of the drivers' standings and Riccardo Patrese second. 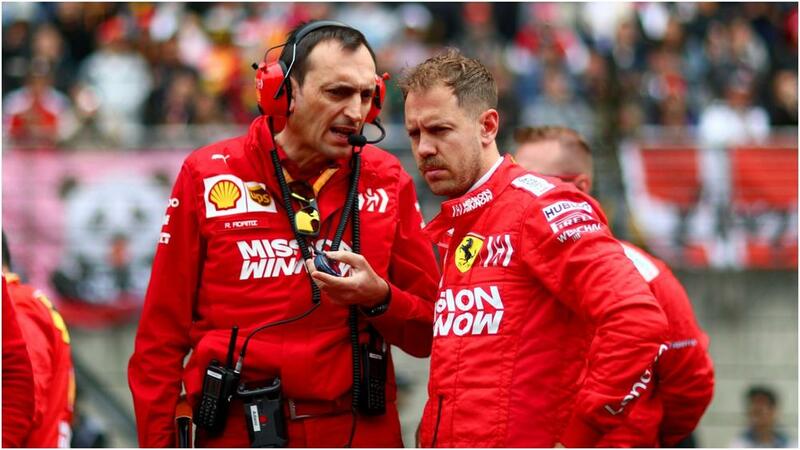 Understandably, given the car's impressive performance in preseason testing, attentions have already turned to their tactics, as they favor Vettel over new recruit Charles Leclerc. Vettel is used to jostling with Hamilton at the front, but he required team orders to allow him through to take third in Shanghai and nudge a point ahead of Leclerc in the standings, though he still sits behind Max Verstappen. And Vettel was spiky when asked about that call, accusing the media of "poor journalism" and claiming he would be misquoted as questions about preferential treatment persisted.